Eddy Arnold, the smooth crooner of such classics as "Make The World Go Away" and "What's He Doing In My World," is the epitome of county-politan sophistication. So one might think that calling him "The Tennessee Plowboy" was just a marketing gimmick. 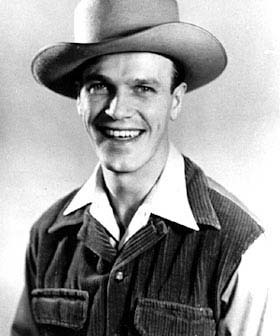 But Richard Edward Arnold was born on May 15, 1918 in Henderson, Tennessee to a farming family and he not only plowed behind a mule, he rode the mule to his first singing engagements. After his father died on Eddy's eleventh birthday, Eddy had to watch the family farm sold at auction. He never forgot it. Besides singing anywhere he could, the young Arnold worked (and slept) in a funeral parlor. Then, in 1940, Eddy finally got a break -- Pee Wee King gave him a job with the Golden West Cowboys. That meant Eddy appeared regularly on the Grand Ole Opry, besides regularly having something to eat. In 1943, he struck out on his own, with his own radio program on WSM. Soon he had a recording contract in his own right and a regular hosting spot on the Grand Ole Opry, with "Cattle Call" as his theme song. An early manager was Tom Parker -- as in Colonel Tom Parker, Elvis' eventual manager. A parade of hits followed, and Eddy found himself the hottest thing in country music. From November 1947 through January 1949, Arnold had six songs at No. 1 on the country charts, with only one other artist reaching No. 1 during that period; in late 1948, Arnold had an amazing six songs in the Top 10 at once. 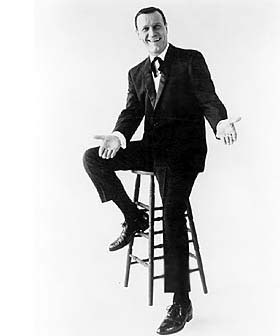 Sometimes called the "Country Perry Como," Eddy was also a hit on mainstream shows like Milton Berle and Ed Sullivan. In the mid-1960s, as his chart success started to cool, Arnold turned to lush, heavily orchestrated recordings that revitalized his career, winning a whole new audience for country music. Today Eddy is still actively performing, recording and looking after his myriad business interests. Many of the latter are in real estate, for Arnold never forgot losing the land he grew up on. 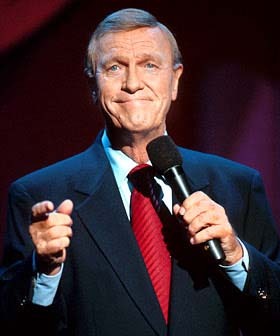 While his current style of country music has sometimes been criticized by the more traditional performers, there is no arguing with the fact that Eddy Arnold helped introduce Nashville and country music to the world. Arnold was elected to the Country Music Hall of Fame in 1966. He donated hundreds of his career-related items to the Country Music Hall of Fame, which placed them on a special exhibit in 2003.